Okay you guys – whatzup with this cold snap? Where did it sneak in from, and will it just go away already? Hopefully soon? 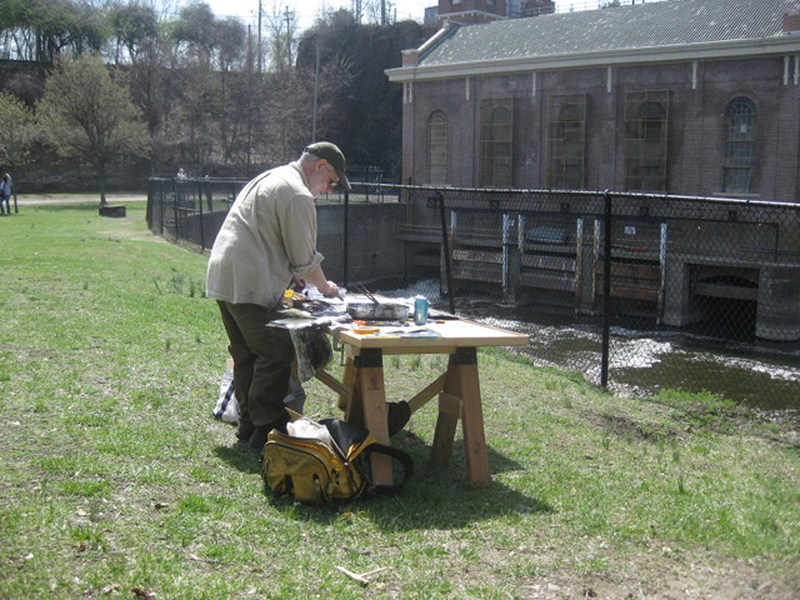 I’m working in the studio on a new version of the picture I started (and badly overworked) in Paterson last Sunday. In fact, here I am going at it. Our buddy, Bob Demarest, took this photo. It was a bit nippy even then, but still nice enough when the sun was shining. I’m NOT fat – it just looks like it because my shirt’s open and I’m leaning over. Sadly, my beard is that white now. Shoot, do I look too much like Santa off on vacation trying to draw?